This question seems a bit insane but someone has achieved this superhuman capability. That person has not just survived in Himalayas in shorts but also climbed Mt. Everest. It was a unique achievement that no one has ever dared to do in history of mankind. 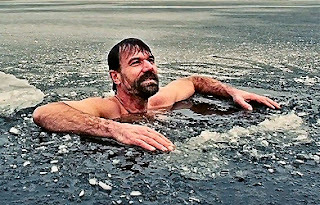 The name of this achiever was Wim Hof and he did it in year 2007 and reached up to 23,600 feet. However he did not succeed in his attempt but still made a world record by doing it in shorts and sandals. According to Wim Hof, also known as "Ice-man" , he achieved this superhuman capability through the power of controlling breathe and mind. According to him anybody can achieve this through dedication and strong will power. Climbing mount Everest is just one of the tasks that Wim Hof has done to show his capability. He has got 26 world records in his name for tasks such as under-ice swimming (57.5 metres in year 2000), running a marathon in Namib Desert without water (2009) and reached the top of Mount Kilimanjaro wearing just shorts in 2 days (2009). Wim Hof says that he has developed a method known as WHM (Wim Hof Method) to survive in extreme cold. Do you know that when an investigative journalist, Scott Carney, tried to debunk his method, he ended up learning WHM himself. According to scientific studies WHM suppress the innate immune response and increases the heart rate and adrenaline levels. WHM consists of cold therapy, breathing exercises and meditation. According to some experts his method works but not equally for every one. There are two ways that our body utilize to deal with cold: shivring and non-shivering thermogenesis. In the non-shivering method our body burns the brown adipose tissue (which is a type of fat) to generate heat for body. WHM has increased the brown adipose tissue in the body of Wim Hof, which might be a reason behind his cold resistance. Four practitioners of Wim Hof Method did drown in year 2015 and 2016. So according to scientists, the breathing exercises and meditation definitely improved the cold resistance and immune response but checking your limits can be dangerous. Personal life of Wim Hof : Wim Hof was born in year 1959 and has got an identical twin brother who does not have such cold resistance. Some people believe that Wim Hof learnt the breathing meditation to get rid of sadness after passing away of his first wife in 1995. He has got 4 children from his first wife and 2 from second. Note: WHM (Wim Hof Method) is similar to Tibetan Tummo meditation and Pranayama meditation, as both of them teach similar breathing meditations and known to improve the immune response and psychic powers. Very few people utilize the power of thinking or the power of mind. Most of us believe in physical strength and some believe in power of brain (tricks/technology to make tasks easier), but very few know that our thinking in the key to everything. If a muscular guy feels defeated in his thinking, then a physically inferior but mentally strong guy can easily defeat him. Do you know that Wim Hof climbed mount Everest wearing nothing but shorts. He believes that its done due to his will power (the power of thoughts) which made his body capable of handling such cold temperature. Here we will discuss some facts related to your thinking and physical abilities. These abilities might seem difficult to earn, but if earned then they can make you super human. Super-humans are not made by just their physical abilities but their thinking abilities. You are only as tired as you think : In a research some subjects were told that their REM Sleep will be measured, to measure their sleep quality. In the morning half of them were told that REM sleep record was good and they had a good sleep, while half of them were told that their REM sleep was much lesser than normal and they didn't get enough quality sleep. The truth was that nobody was measuring their REM sleep. But those who were told that they slept good, remained active and awaken throughout the next day, while those who were told about their bad sleep, felt tired and inactive. It shows that we only feel as much tired as we think we are. It also means that we can fool our brain by our thoughts. Note : Here is a simple trick that you can practice yourself. If you are capable of doing 30 push-ups and you usually count it from 1 to 30 before taking a break. The next time you do it, count it from 1 to 15 and then again start counting from 1 without any break. You will definitely go above 15 (total above 30) very easily. Earlier the 30th pushup might have been the most demanding, but when you divide your counting into two, then your brain thinks that it is still 15th and don't let you feel tired. Placebo works : Placebo are those medicine, which are really nothing but just plain sugar or starch. But in most of the cases they work, as the patient thinks that it is some actual medicine which will make him healthy. Here again the power of our thinking does the job. It means that our thinking can make our immune system stronger, we just need to fine tune our thinking. Note: Placebo works even when a patient is told that he/she is taking a placebo (with full explanation), along with the information that placebo work better than actual medicines. It simply means that if we believe in something then it works. It is the power of thinking. Do you know that if a doctor tells you about the possible side-effects of some medication, then chances of getting those side-effects doubles. It is because you start thinking about those side-effects and you get them. How to trick your body to be in shape: If you can fool yourself that the daily work that you do is far more better than exercising and most of the people don't do such work which is equivalent to workout, then in a few weeks or months you will find that you are in far better shape than before. Researchers did such research on people in similar work environment and found that those who were told their daily work is equivalent to workout at gym, get into better shape than before, while no such effect was found on other people. Similarly if you know that your habit of eating fast food is making your obese and eating salad don't stop your craving as you want to eat a burger, then use a trick. After eating salad just say it to yourself that you just ate a burger, and make your brain believe it. If you succeed then you will definitely feel full for a longer duration. A $2.50 pain medication will work better than a 10 cent medication, even if both of them contain same salts, just because we believe that costlier means better and effective. Your thinking can make you energetic : If two people drink same energy drink, but one was told it was nothing but plain water and other was told that it was most powerful energy drink, then the later one will definitely feel more energetic and will perform better than his/her normal ability. If you have listened about Rhonda Byrne's "The Secret", then you might be aware of the power of positive thinking. That books suggests that if you think a lot about something then the vibes of that thinking work for you and you get what you think. It works for both positive and negative thinking. If you think that you are diseased, then you will be in sometime. The author also suggested how your positive thoughts can be made more effective by implementing those thoughts in your words and activities. Maharishi Effect: Transcendental Meditation techniques, not just affect your body in a positive way, but also the environment and the thinking of people around you. Maharishi Mahesh Yogi predicted this effect in 1960 and then in 1976 scientists confirmed that when 1% of a community practiced the transcendental meditation, the crime rate was reduced by 16% on average. It shows the power of positive thinking and its impact on society. So next time you imagine a super-human, don't predict him/her to be very muscular, but a normal human being with an average body but a strong mind with very powerful thinking ability. Real strength lies in your mind, not your muscles. Do you think that you think a lot ! The mind of a normal human being go through 20,000 – 80,000 thoughts/day, which means 1500 – 3,300 thoughts per hour. Some of you might be thinking that they don't really think that much but this count is estimated after a lot of research. The count of thoughts may vary from person to person but even the least thinking person thinks a lot in reality. We often assume that if a person talks less the he/she thinks less, but in most of the cases it is just opposite. Why do we think so much ? And even if we think that much, do those thoughts change into actions ? Our mind is a butterfly that keeps wandering on flowers of thoughts in an unpredictable manner. Only difference is that speed of our mind is much higher. Most of the thoughts that come in our mind are useless and unimportant. 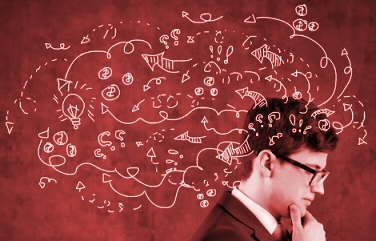 A certain part of our thoughts change into reality after a lot of analysis by our brain. Our thoughts make us and create our whole personality. Most of our thoughts are not even worth sharing. Our thoughts accompany us everywhere irrespective if we are in crowd or alone. Our thoughts follow us even when we dress up, eat, exercise, walk, talk, drive, cook, work or have a bath. Thinking is not a conscious process, as most of the thinking takes place unconsciously. When we are anxious or worried then our thinking process become so fast that we may start feeling tired even without any physical activity. Even while reading this article you are moving your eyeballs after a lot of electrical impulses inside your brain. Even conscious or unconscious action of your body is made after a thought. Every thought in your brain can't be changed into sentence. Every thought can't be verbalized. Sometimes too much thinking slows us down in the real work that we were doing. Our thinking affects the works we do and the works we do affect our thinking as well. So if you want to change the way you think, it is better to indulge yourself in some work that can keep your mind busy in itself and don't let your mind divert towards the topic that you want to avoid. Education is not the learning of facts, but training the mind to think. When we talk to someone, our mind keeps commenting inside our brain and our mouth speaks only the selected thought which is most appropriate to talk. Even when we are just hearing to someone, thoughts related to that talk keep our brain occupied. Sometimes our thinking can be so deep that we can even visualize scenes inside our brain, and don't really see whats happening in front of our eyes. Sometimes we get stuck on one sentence or thought so much that we start thinking about that one thing and not even hear any further talk actually happening, and then suddenly realize that we have missed the real talk. Do you think that you can stay on one thought for more than 10 seconds? Just think about anything and try not to be distracted from that one thought. Every inhale or exhale of yours will try to distract you to jump from one thought to another. You can never stay on one thought unless you are in mood to fool yourself. But if you are doing something that you like then you may stay longer but several thoughts related to that same thing may keep occupying your mind. However practitioners of meditation techniques can decrease the count of thoughts and keep themselves more calm than others. How to witness your thoughts ? Just try to watch the thoughts coming in your mind, it is not as hard as we assume. People who practice meditation often practice to witness their thoughts. While doing so, they often try to keep it on one thought. Experienced practitioners of meditation techniques like Yoga say that main objective of their practice is to attain "samadhi", which is a stage where one can attain a stage where no though occupies the brain. It is our thinking process that make us human. Either we call it mind or brain, thinking process inside it is the basic reason behind our supremacy over other species. Our brain has evolved so much only due to the thinking process. After reading this article, most of the health conscious people will never hit the snooze button in the morning. It is a reflex action of most of the people to hit the snooze button on their smartphone or alarm clock to get few more minutes of sleep. Those who are a bit more lazy hit snooze several times. You might think that you are getting 5 to 10 minutes of more sleep by doing so, but actually that sleep is doing more worst to your brain, instead of making anything better. You will understand it completely by the end of this article as we will explain your sleep and sleep cycle. Our sleep can be divided into 4 stages. One sleep cycle lasts for around 90 minutes. In one sleep cycle we go through all four stages, each of which lasts for 5 to 20 minutes. First three stages of this cycle are non-REM stages, while the stage 4 is REM stage. Stage 1 : This non-REM stage is the first thing that happens during sleep. This stage is somehow drowsy and any external stimuli can easily wake us up. During this phase some people feel a jerk or muscle spasm as our muscles start to relax. This stage can be easily observed by slow eyeball movement. Stage 2 : This stage is a bit more sleepy then first stage and it become harder to wake up. During this stage heartbeat starts to slow down and body temperature starts to decrease. This stage can be observed by stopping of eyeball movement. Stage 3 : It is the deepest sleep stage of non-REM sleep. It is hardest to wake-up anyone during this phase. Most of the restorative work in our body occur during this stage. Conditions like sleep-walking or sleep-talking occur during this phase. Stage 4 : This stage is also known as REM (Rapid Eye Movement) stage as eye ball movement is at its highest frequency in this stage. Dreaming usually happens in this stage and arousal can also occur. Note: Duration of REM sleep (stage 4) increases as the count of sleep cycle increases. So there is more probability that an alarm will wake you up in between your dreams. When we shift from one stage to another, a slight moment of wakefulness happens in between, which we usually don't remember. Once all four stages have completed, we enter into the stage 1 again, thus starting the next sleep cycle. What happens when we wake up due to an alarm ? If an alarm wakes us up during REM Sleep (i.e. stage 4) then we feel groggy (i.e. feeling drunk, tipsy, weak or dazed), while if you wake up during first 3 stages then you feel alert and attentive throughout the day. But one more factor to be noticed is that once we have slept for 2 sleep cycles, our body / brain gets ready to wake up anytime without much difficulty. The truth is that our brain is designed to wake up after or in between the REM sleep. What happens when you hit snooze ? Usually we hit snooze to sleep again, but irrespective of the previous sleep stage, we begin a new sleep cycle. Such disturbance in sleep cycle disturbs your biological clock as well. Now alarm beeps again after a 5 to 15 minutes, and during this time we were in non-REM (i.e Stage 1 to 3) sleep. Waking up during this phase is harmful for your brain. Those who are habitual of hitting snooze, do it everyday and make their brain and body suffer a lot due to their bad habit. How to get rid of Snooze ? It is better to go to bed early and give your body / brain sufficient time to rest. It will make it easier for you on the first beep of alarm. It is better to get an alarm clock with no snooze button. 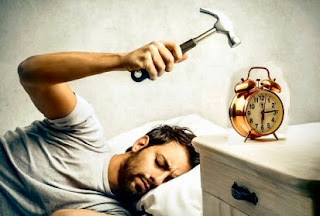 Once you give yourself proper time to sleep, you will find that you will wake up automatically even before the very first beep of alarm, which will be done by your biological clock. Tip: Stop using your smartphone while going to sleep. It puts excess stress on your eyes, disturbs your sleep and also steals the precious time that was meant for sleeping. A lower heart rate while in resting position indicates better health of your heart. Normally people have RHR (Resting Heart Rate) in range of 55 to 100. Those who have a RHR of more than 80 bpm are twice more prone to death from a heart disease, while those with more than 90 bpm are thrice more prone. In our last post we published a calculator to evaluate and compare your heart health by telling us your age, gender and resting heart rate (RHR). Usually athletes have the best heart health and their RHR always remains below 65. A number of variables affect our heart rate and keep changing it through out the day. Apart from activities like sitting, walking and running, even our mood can change our heart beat count. It can even change while watching TV on a comfortable sofa, just due to emotional and mood related changes in the act being played on screen. Our genes, ageing, stress level, medications and medical conditions play an important role in deciding our RHR. Here we are proving some tips to lower your Resting Heart Rate (RHR). Exercise Regularly: You may choose any exercise that suits you, such as a brisk walk, swim, or bicycle. It is not necessary to workout at a gym. When we exercise our heart beats faster, even for a short time afterwards. But when we do it regularly our resting heart rate starts to decrease. Reduce stress: If you feel that your stress level is high then you may engage yourself in meditation exercises such as yoga or tai chi. 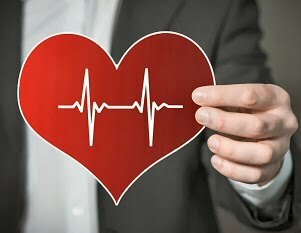 These stress-busting techniques have shown a significant impact in lowering the resting heart rate over time. Avoid tobacco: Smoking increases resting heart rates, even the passive smoking. Quitting can easily bring it down. Calculate the damage done by smoking. BMI in check: We can lower our RHR through good lifestyle and maintaining a healthy BMI (body mass index), i.e. height-weight ratio. A BMI value of 19 to 25 is considered best. 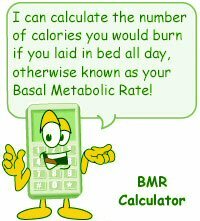 So Calculate your BMI. Larger body requires more effort from our heart to supply the blood, and losing weight can easily reduce that effort. Take long breaths: This technique can instantly bring your heart beat down. At any point of time, if you feel that your heart is beating badly, then you must take long breaths to lower the heart rate. It is the reason behind practicing breathing exercises to lower the blood pressure. Stay Cool: Except the exercise time, try to keep your body cool. Higher temperature outside make our heart to pump more blood to keep the right body temperature, thus increasing the heart rate. So staying away from heat can lower the RHR. Note: The best time to measure your RHR (Resting Heart Rate) is just before leaving bed in the morning. You should measure it while still lying on your back.